The truth is that manufacturers are most interested in making a profit. Some manufacturers place dangerous products into the stream of commerce, putting millions of lives at risk. Often, there is something more that could be done to create a safer product; however, manufacturers may need encouragement to make their products safer. This encouragement frequently comes from a manufacturer’s fear of legal liability associated with a lawsuit, such as an Illinois product liability claim. The second phase of the bifurcated trial determining whether Monsanto should be held liable for the non-Hodgkins lymphoma suffered by a man after using the Monsanto product Roundup for decades has concluded. 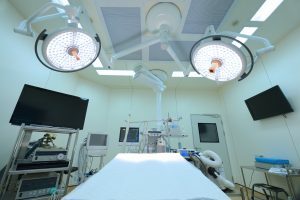 The culmination of the trial resulted in a jury award of over $5.6 million in compensatory damages and $200,000 for medical expenses to the plaintiff, and $75 million in punitive damages. The damages awarded are not only meant to compensate the plaintiff for the harm he suffered, but also to punish Monsanto for inappropriate conduct related to the product. While Bayer, the company that purchased Monsanto, issued a statement that it did not believe the subject case would impact future cases, the opposite is most likely true. Although each case must be assessed on its unique facts, it is probable that the subject case will have far-reaching effects on cases throughout the country in which it is alleged that Roundup caused a plaintiff’s harm, including Illinois toxic tort cases. Yesterday, a six-person jury concluded that Roundup was a substantial cause of plaintiff’s non-Hodgkins lymphoma. The verdict sends a clear message to Bayer, the company that purchased Monsanto, and for the 11,000 plaintiffs in cases already filed in courts around the country – there is a link between glyphosate and cancer. 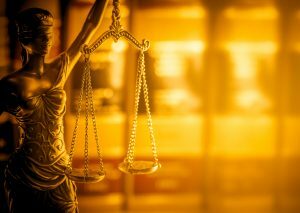 Because of the case’s national importance, the jury’s recent decision will affect many Illinois toxic tort plaintiffs, as well as those across the country. According to a recent news report covering the trial, the case involves a man who claimed that use of the defendant’s weed-killer, Round-Up, caused him to develop non-Hodgkin’s lymphoma (NHL). Evidently, the plaintiff used the weed-killer over 300 times in his 26-year career. The plaintiff also claims that the manufacturer attempted to influence scientists, regulators, and the general public regarding the safety of the product. The case is important for several reasons. First, it is only the second case in which jurors have had to determine whether the chemical composition in Round-Up is a substantial factor in causing NHL. The defendant manufacturer claims that its product is safe for human use, regardless of exposure levels. However, the plaintiff argues numerous studies contradict the manufacturer’s assertions, showing that the risk of developing cancer increases with the level of exposure to the product. The only previous case involved a successful claim by a California man who recovered $289 million earlier last year. 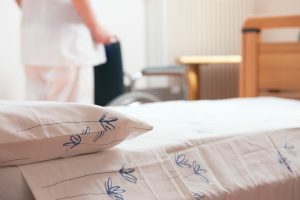 If not properly maintained, Illinois nursing homes and skilled care facilities can be breeding grounds for various types of bacteria that can lead to outbreaks of serious diseases or illnesses. While most Illinois nursing homes, rehabilitation centers, and skilled care facilities take the necessary precautions to ensure that the facilities are kept sanitary, not all facilities prioritize cleanliness as they should. In these facilities, residents are at an increased risk of contracting serious illnesses. According to a recent news report, a resident in a Manteno veterans’ home was diagnosed with Legionnaire’s disease earlier this month. Evidently, the resident was diagnosed early in the morning, and by the afternoon the Veteran’s Administration had implemented an “active water management program” and was reaching out to residents, family members, and attorneys to inform them of the recent diagnosis. Legionnaire’s disease is a severe form of pneumonia that is usually caused by some kind of infection. The disease is not spread from person to person by physical contact, but is contracted by inhaling the bacteria Legionella. Smokers, older adults, and those with weakened immune systems are at an increased risk of contracting Legionnaire’s disease. In 2017, Illinois eliminated the statute of limitations for criminal prosecutions for felony criminal sexual assault and sexual abuse crimes against children. The law applies to future cases as well as then-current cases in which the old statute of limitations had not yet expired. Before the change in the law, most serious sexual offenses against children had to be prosecuted within 20 years of the survivor turning 18 years old. Although the statute of limitations is shorter for civil cases, there are several exceptions that may extend the statute of limitations. 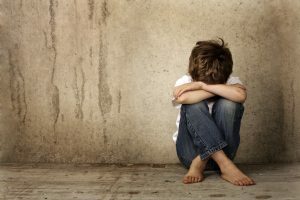 If you were the victim of abuse and have questions about the timing of filing a case, reach out to a dedicated Illinois sexual abuse attorney. Illinois’s Attorney General announced this week that six Catholic dioceses in the state did not disclose the names of at least 500 priests who have been accused of sexual abuse, according to one news source. The state’s investigation was sparked by a Pennsylvania grand jury report that found there were 300 “predator priests” in that state. A stroke is essentially a “brain attack” that – like a heart attack – occurs when the blood flow to a portion of the brain is cut off. Strokes are the fifth-leading cause of death in the United States, with about 800,000 people suffering from a stroke each year. It is also estimated that approximately 80% of strokes can be prevented, and even those that are not prevented may be able to have their harmful effects reduced. However, an Illinois medical malpractice case can arise when a stroke is not promptly and competently addressed. One of the ways that doctors treat a stroke in hopes of reducing its long-term effects is through medication. If medication can be provided to the patient soon enough after the stroke begins, blood may be able to be restored to the brain, reducing the chance of permanent disability or death. 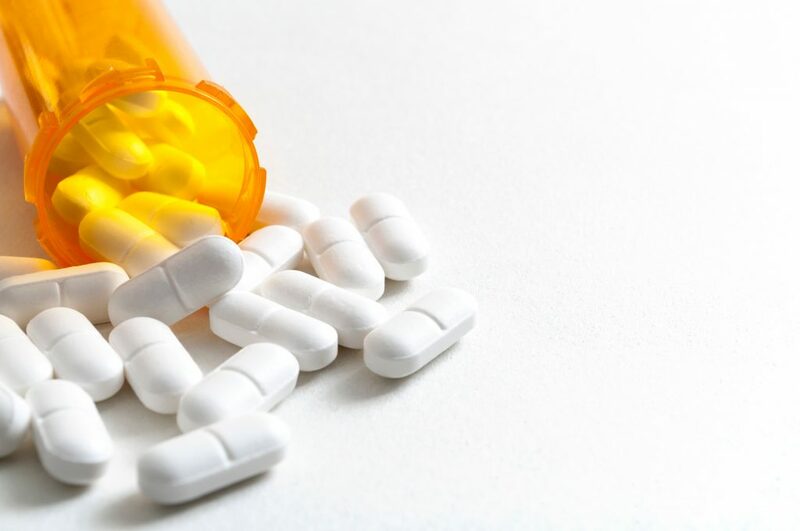 Over the past few years, there has been a vigorous debate over the use of one stroke medication in particular, tissue plasminogen activator (TPA). According to those in favor of TPA, the drug acts as a clot-buster, opening blocked blood vessels and allowing blood to return to the brain. A recent news article discusses TPA, as well as the fact that despite having been around for over 20 years, it is still not commonly used to treat stroke victims. Breast augmentation, or augmentation mammoplasty, has been the most common elective cosmetic surgery in the United States for over a decade. Last year alone, there were over 300,000 breast augmentation surgeries performed across the United States. This figure represents a 3% increase from the year before, and a 41% increase from the number of similar surgeries performed in 2000. Earlier this month, Dixmoor police evacuated approximately 30 men from an Illinois nursing home facility that was supposed to be providing the men with mental health services. According to a local news report, the men were evacuated after one resident called the police, explaining that they had been locked in the facility with no staff members present. Evidently, the facility provides mental health care services to men between the ages of 30 and 50. However, when police received the call explaining that the residents were locked inside, the conditions they found inside the facility were described as “deplorable.” Responding officers told reporters that there were men sleeping on mattresses strewn about on the floor and that the facility had no hot water. There was also an infestation of bed bugs. The local police chief told reporters that the conditions in the facility left him “in awe.” He also explained that he had personally been to the facility in the previous weeks to shut it down for operating without a valid license. Over the past decade, manufacturers of electronic cigarettes, or e-cigarettes, have marketed their product as a safe alternative to smoking. 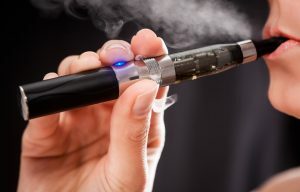 Indeed, their efforts have been largely successful, with an estimated 2 million adults and teens reporting they have used an e-cigarette within the past three days. That being said, the federal Food and Drug Administration has not approved the use of e-cigarettes as a stop-smoking aid. The U.S. Preventative Services Task Force agrees, noting that there is insufficient evidence supporting the use of e-cigarettes for those who want to quit smoking. Part of the reason why e-cigarette use has not been approved is the lack of longitudinal studies following the health of those who use them on a routine basis. In recent news, according to a study released by researchers out of New York University and published in Proceedings of the National Academy of Sciences, e-cigarettes may still pose a potential risk of lung cancer, bladder cancer and heart disease. Depending on the results of further research, users of e-cigarettes who develop lung cancer, bladder cancer or heart disease may be eligible for compensation through a product liability lawsuit against the manufacturers of these products. 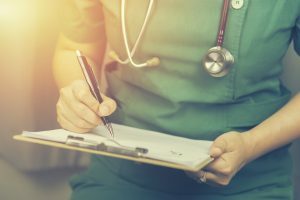 Earlier this month, the United States Supreme Court decided a case that may have a major effect on nursing home claims throughout the United States. 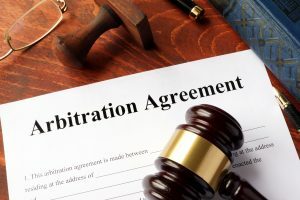 In Kindred Nursing Centers, L.P. v. Clark, the court held that state courts cannot adopt rules that single out arbitration agreements for negative treatment. In the case, two individuals each held a power of attorney respectively for their relatives, who were nursing home residents. When the relatives moved into the nursing home, the family members signed arbitration agreements on behalf of the residents at the same nursing home. After both of the residents died, their estates sued the nursing home, alleging that the home had been negligent in caring for them. 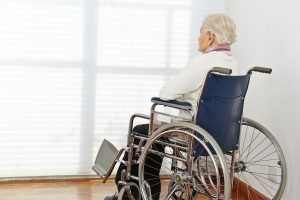 The nursing home tried to force the plaintiffs into arbitration, claiming they had agreed to settle their claims through arbitration, according to the agreements. Kentucky’s Supreme Court found that the family members could not enter into the agreements on behalf of the residents because the residents had not expressly given permission for the plaintiffs to do so. 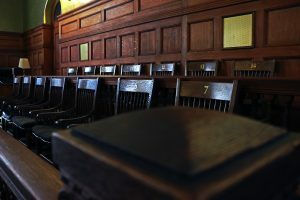 The Kentucky Supreme Court did not give effect to the arbitration agreements because it decided that in the case of arbitration agreements, an individual must specifically waive his constitutional right to a jury trial.